The latest of GB whatsapp has just been released, this new version has so many good and interesting features compared to the previous version. Of course it's a new version and new things are expected to supersede old versions. There are some that are new to GB whatsapp, and don't know what we are talking about here. If you are in such category, you need not to worry over that because, am gonna carry everyone along. For those new to GB whatsapp, it's one of the most popular modded version of the official WhatsApp application that gives you access to more or extra features which cannot be seen in the official stock Whatsapp. So GB whatsapp gives you special features in order to make your chatting lively and sweet. Due to some special features on this GB Whatsapp social media, it became the best WhatsApp mod out there. While using this app, you are able to carryout some of these features that include; can Hide your Last Seen, Hide Second Tick, Hide Blue Tick, etc. See more of that below. With this GBwhatsapp, you can use up to 4 different WhatsApp accounts on just a single phone you got and as well have the option to customize the theme of the WhatsApp UI as you so wish. * And many more feature to discover while using. How To Enable WhatsApp Two-step Verification on Android, iOS & Windows Mobile Phone. How To Share Applications On Apk/Zip/Pdf Files To Anyone Via Whatsapp Chat App. Download GBWhatsapp Version 4.9.1 Apk. * (exclusively) With this whatsapp, you can convert any video of any size to a moving picture and send it to personal chats or group chats. 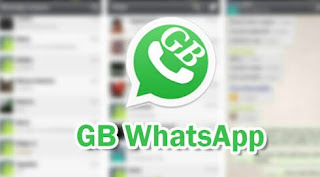 * Download GB WhatsApp Version 5.30 HERE. NB: While your official stock whatsapp is installed, you can still run three GB Whatsapp versions together without any issue, thereby making it four different whatsapp accounts on one phone. That's the benefit of using a GBwhatsapp. Got any contribution or question? kindly use the below comment box, thank you.